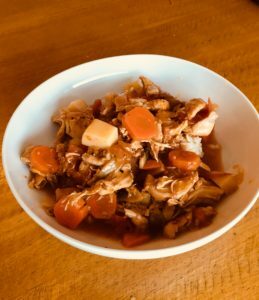 I wasn’t going to do another chicken soup post, diagnosis but after requests for this recipe and some thought, diagnosis I realized that this is different then the last chicken soup I wrote about. While I was writing, for sale I wondered how many versions of chicken soup must be out there? I have at least 3 to 4 myself. I will post more as they get remade or made for the first time. Until then, here is another addition to the cannon of probably the most American soup out there. I give you, my other chicken soup, which I will officially call; Chicken, barley and vegetable soup. Cook for a couple minutes, or until you get a good sear. Flip breasts over cover and cook on low till done. Meanwhile cook barley according to directions, minus 5-10 minutes - it will fully cook later when you add it to the rest of the soup. You should have some good drippings left in the pan. When chicken has cooled off tear from bones (using the skin is up to you, I love it). 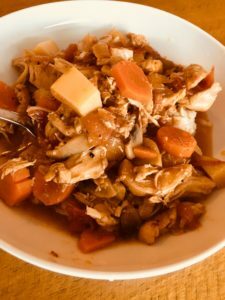 Add chicken and barley to soup. Bring to boil then lower to a slow simmer for about 10 minutes or until veggies are how you like and barley is done.